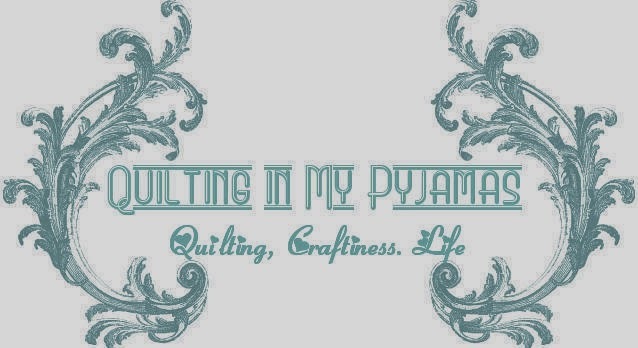 Quilting in My Pyjamas: Did Anyone Else Hear Trumpets Sound? Yesterday that basket was finally empty! Yep- yesterday I finished the last applique orange peel and did an honorary run around the meeting room table at work like a soccer player who just scored the goal of his career. I was actually in a meeting at the time...thankfully everyone in the room knows I'm slightly off centre and didn't think that was at all unusual behaviour. Let's not be too hasty to congratulate me though - I have approximately 10 days to sew 144 of these together, baste and quilt the top and then sew the binding on...it's still do -able right? And now I can start thinking about my next hand sewing project ....Lucy Boston - you're up! Yay! Can't wait to see the Seville quilt all sewn up. Did this one have naked consequences too? Whoop whoop! You go girl! you can totally do this. Congratulations! Ahh did you get any hugs of joy from your co workers like the soccer players do? Of course it's doable if you don't sleep, cook or do housework! ( I'm assuming that you can't bunk off work). Good going on the empty basket. I just wish mine would get empty. I seem to keep filling it up!!! Definitely a moment worthy of a run round the office with your shirt over your head ..... you did do that bit didn't you? Oh and turn that basket upside down and use it as a footstool so you're not tempted to fill it up with another project until you have those bits all stitched together! No trumpets, but the earth did move slightly off axis with all that running! ....I am sure your co-workers were just as thrilled with your progress as you were...looking forward to the big reveal of the finished article soon. Absolutely do-able! Go, Shay, go!! Well done you clever girl! It is on my "want to do" list. Look out Lucy is addictive! Ten days? No problem. You're on holiday and only have parents to settle into a new house and all the other life stuff going on. Why should piecing together a few bits of fabric have any impact? Bwahahahahaha! Plenty of time. In that time I have to put together a quilt top (still waiting on the fabric thanks Aust Post) finish 2 other projects and write the patterns for them. So you should make it. The machine sewing part always goes fast after all that hand sewing. Looking forward to seeing your new quilt soon! Well congratulations you crazy woman, of course you'll get it done I have faith ! You rock Shay!! Of course you can whip those orange peels up into a quilt, and make some cakes along the way too!! I'm excited about your Lucy Boston as much as you are. I hope you're going to use that basket for the LB pieces, it's too pretty to be left empty . What a beautiful sight! You running around the table is a bonus visual :). Congrats! Oh i thought it was you snoring during one of your nana naps. Seriously, I'm very impressed, thats brilliant work Shay, the quilt is going to look awesome. Hope you can keep the momentum up and finish it in the next few days. you go girl! what's the 10-day deadline? Wahoooo!!!!!!!!!!!!! Honourary lap of honour definitely warranted there...so, top together now? Congrats on getting all those applique pieces sewn on. Hopefully you are well on your way to having a completed flimsy. I will keep my fingers and toes crossed you make it! Cannot wait to see it! I enjoy your blog these days, because it helps me to dream of what I am doing with the rest of my summer, after my fun, wild company leaves! You rock! I think someone at work needs to get a video of you doing that. It would probably go viral at least in the quilty world.....giggle. Yay! I'm thrilled for you! Can't wait to see your progress on Saturday. Yay! You'd be great fun to have in boring staff meetings. I've just seen the finished fmq on this quilt on fb. It's a beauty. Are you keeping it for yourself?